Watch Full Episodes of Glee. Matthew Morrison, Jane Lynch and Lea Michele star in Fox’s musical comedy TV series. 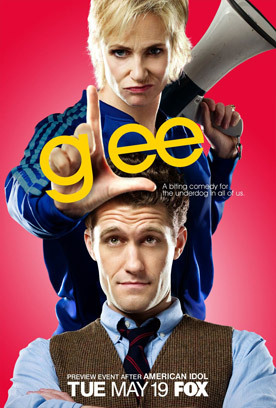 Watch the full episodes of Glee via the links below. Will Schuester is a high school teacher trying to inspire a group of ragtag performers in McKinley’s Glee Club to make it to the biggest competition of all: Nationals. In addition to the regular cast, Glee has featured guest appearances by a wide range of talented performers. Gwyneth Paltrow and Neil Patrick Harris both won Emmy Awards for their guest appearances on the show. Glee is a musical comedy about a group of ambitious and talented kids who escape the harsh realities of high school by joining a glee club where they find strength, acceptance and, ultimately, their voice. This year, the members of New Directions compete amongst themselves to be the “new Rachel” and hold open auditions to find a fresh crop of students. Meanwhile, the graduating class leaves the comforts of McKinley for the real world where Rachel struggles to please her demanding NYADA teacher (Kate Hudson) and Kurt second-guesses his decision to stay in Lima.